1 Do You Have to Get Certified? Are you looking for the next challenge? Snorkeling is fun and all, but getting your scuba certification would open up a whole new world under the sea. 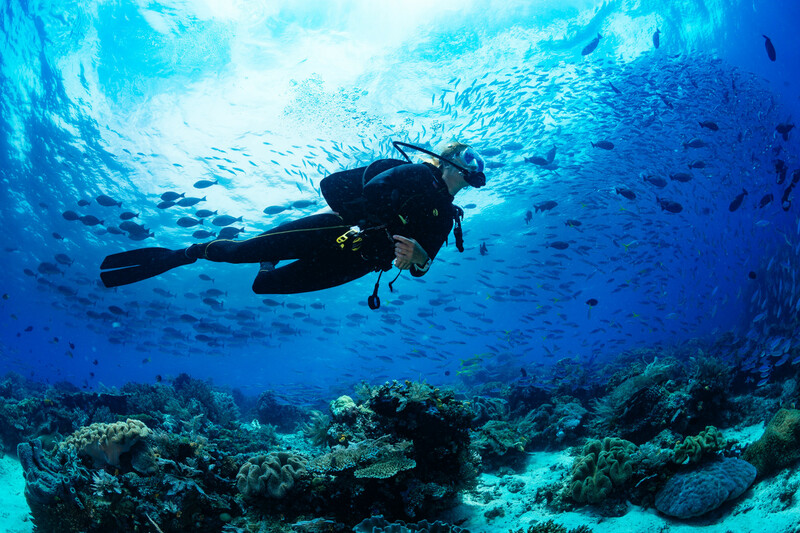 You wouldn’t be alone; there are anywhere from 2.7 to 3.5 million scuba divers in the United States. If you are ready to take the dive then follow this guide to help you get started. Do You Have to Get Certified? Technically, you don’t have to, but that would be dangerous. Don’t try to go scuba diving without getting certified first. If you don’t have your certification, stick to snorkeling. There are plenty of destinations that offer some beautiful reefs so you can still see sea life. Before you decide to get certified, make sure that you are physically able. Get in a pool or other body of water and tread water for ten minutes. Then swim for several hundred yards continuously. If you are starting out, then renting your gear may be the logical option. If you are planning on this being a regular hobby then investing in some equipment may be a smart decision. One thing you’ll be happy you invested in is a properly fitting mask and snorkel. You want one that fits comfortably on your face since you’ll be wearing it for a while. Diving is a sport that must be done with a buddy. You will never dive alone. So why not find a buddy to take the course and get certified with you? The first step is to take the classroom part of the course. This is where you’ll learn what to expect, terminology, and safety protocols. This part you can do on your own at home at your own pace. Step two is to take the confined water diving course. This is where you learn how to work the equipment and breathe through a regulator. You will also learn how to control your buoyancy in a controlled environment. Now at this point, you are certified to dive in a pool. But who wants to scuba dive in a pool? No one, that’s who. So the third phase of your training is to complete an open water dive course. Now you are ready to get out there and get diving! The real question is how much is your life worth? Surely it is worth the cost of a course to teach you everything you need to know about diving. Cost can vary, but the classroom portion typically costs about $185. Then your skills portion will be around $200. The final third portion of the course will vary greatly in cost depending on how close to the ocean you are. Keep in mind that this part can get quite costly for a guide and gear rental. One piece of gear you may not want to rent is a wetsuit. You can check out this guide for how to buy a wetsuit. Getting your scuba certification isn’t complicated. Find a buddy, sign up for a class, rent some gear, and get in the water. Now that you know how to get started scuba diving it’s time to schedule your next vacation to South America and put your new skills to work.